Well that’s March almost done with. Where are these months going? Another disappointment regarding snow and we’re now well into Spring. We did see some snow late-April last year so don’t rule out seeing some over the coming weeks but I think it’s time to rule out any proper cold after a winter that never delivered. Meanwhile, we’ve been basking in some early-Spring sunshine and it’s been very pleasant indeed. For now though we’re back to the doom and gloom and rain. 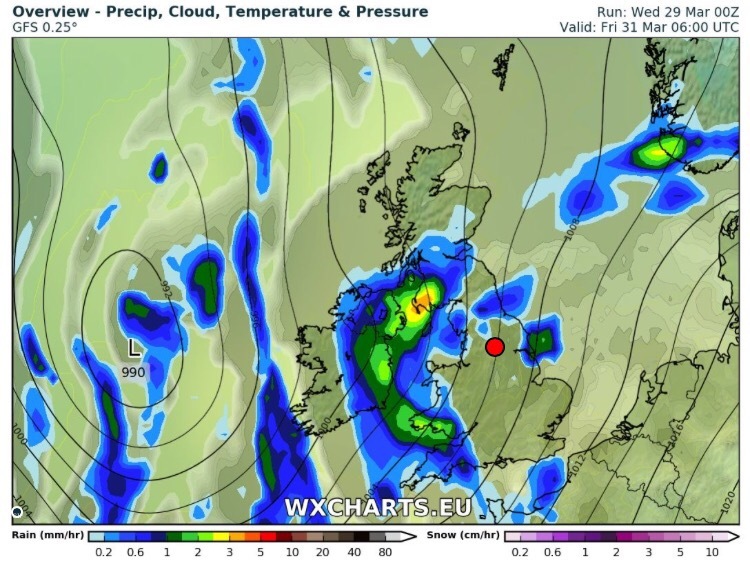 Weekend: A showery start then improving. 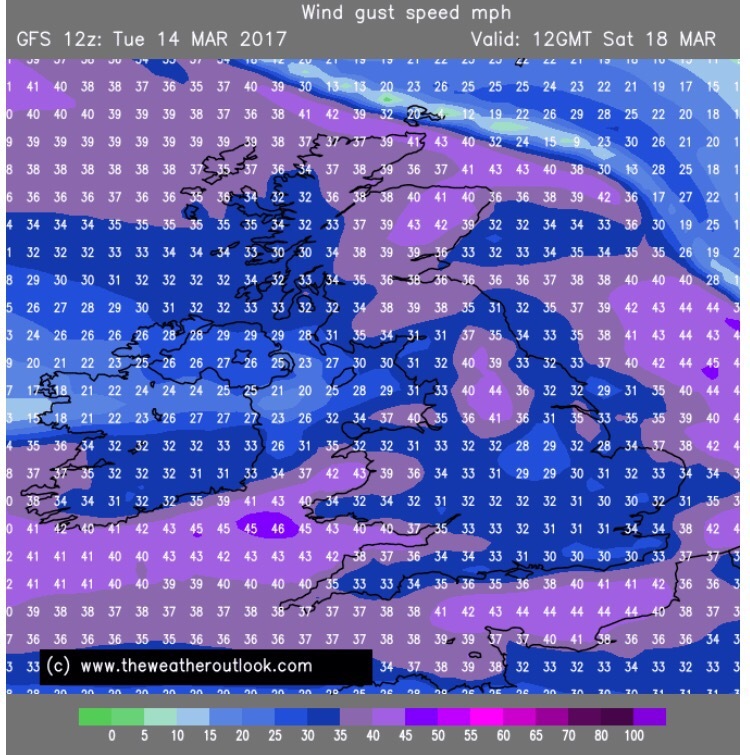 Looking ahead: Next week should become settled with mild southwesterlies keeping the temperatures towards the midteens. 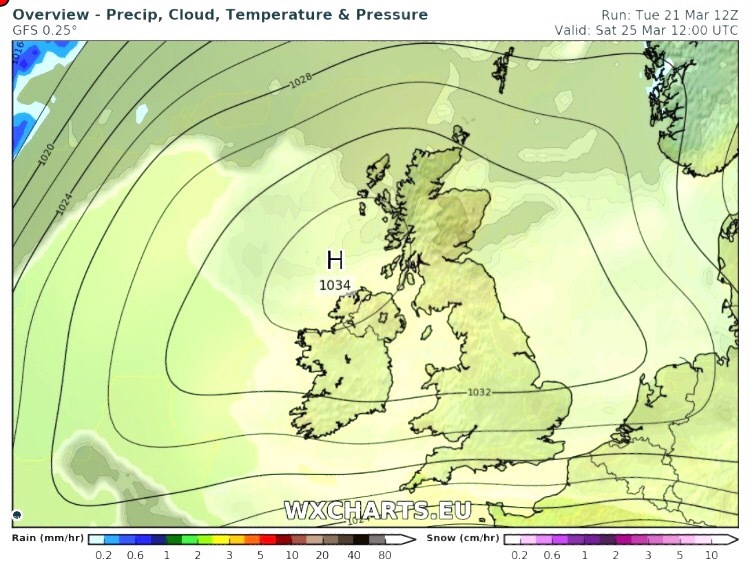 Sunny spells by day and dry so feeling pleasant once again. There’s been a lot of media lies flying around (the norm) about a Boiling Easter. It really is just made-up nonsense. 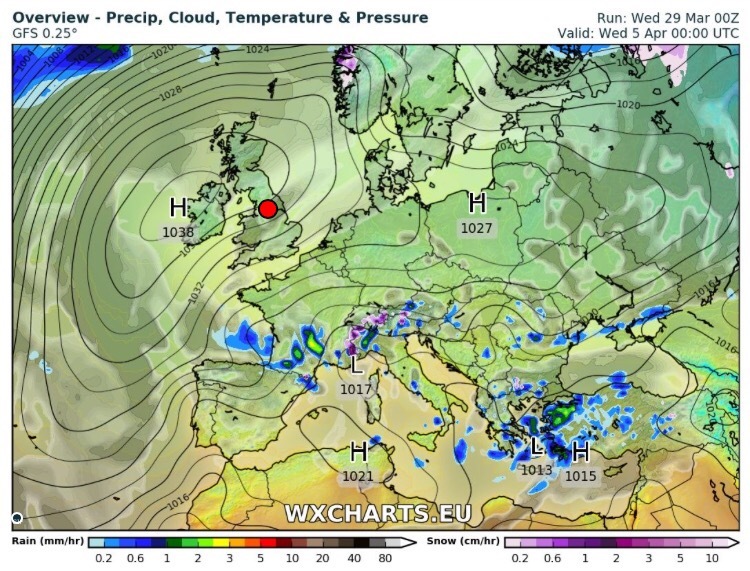 It is far too early to tell what the weather will be like so look out for my updates via @ChadWeather on Twitter as we approach the Easter break. Winter has gone, meteorologically-speaking of course, but we all know we tend to see snow in March at some point, so don’t unpack the garden furniture just yet. 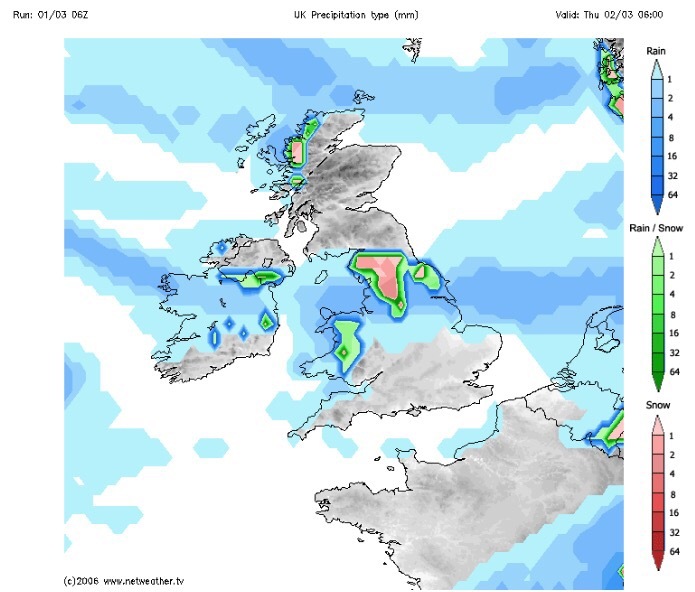 Speaking of snow, there could be some overnight on Wednesday with up to 7cm possible above 300M. See Twitter for updates. 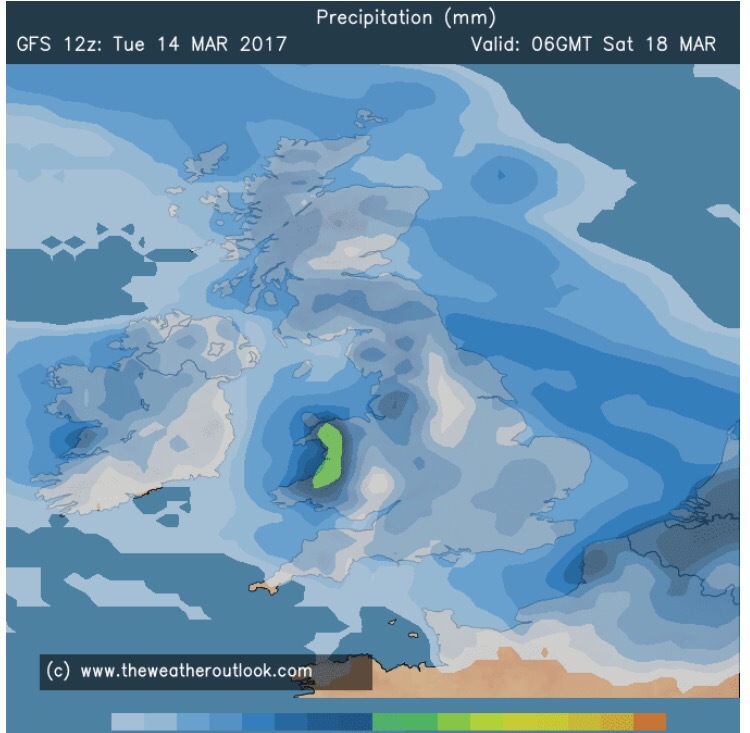 Rain likely to turn to snow Wednesday night. 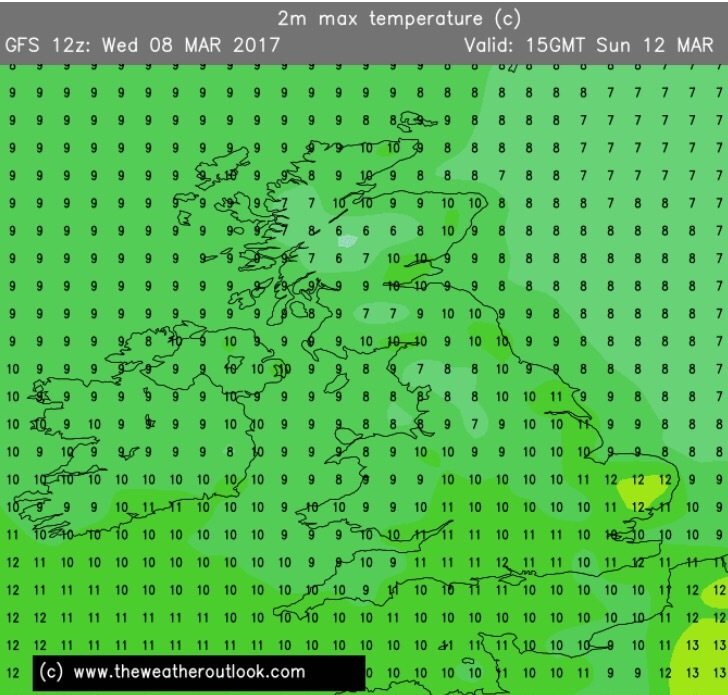 Looking ahead: Temperatures around average, bright spells but also a lot of cloud which will limit the frost-risk. Some showers.